Clinical trials require patient participation and aim to answer medical questions, usually by testing the effectiveness and safety of a new treatment. A new treatment can take the form of a new drug, surgical technique or medical device, either alone or in combination with an existing treatment. Clinical trials test whether the new treatment is better than those currently available to patients. Clinical trials can also be observational, and aim to collect information about the symptoms and medical problems people with a particular disease have. This sort of trial is particularly useful for rare diseases, where not much is known about the disease. Phase I: tests the safety and the best way to administer the new treatment in a small number of patients. Phase II: tests the effectiveness and side effects of the treatment in a larger number of patients. Phase III: tests the effectiveness and safety of the treatment compared to placebo or another treatment in a large group of patients. If a treatment passes Phase III, it can be approved for general use. Phase IV: occurs in a “real-world” setting once the treatment is freely available. This phase typically determines the long term risks and benefits of the treatment when it is used in the general population. The best way to accurately determine how well a new treatment works is to split the patients into two groups at random and to give patients in one group the new treatment and patients in the other a “control” treatment. How the two groups respond to their respective treatments can then be compared. This is known as a randomised controlled trial and usually happens in Phase III. In a placebo controlled trial, the control group is given a dummy treatment. Alternatively, patients in the control group can be given the best currently available treatment. Given the ethical implications of giving patients a fake treatment, placebo controlled trials are increasingly rare, meaning that in the majority of clinical trials, all participating patients will receive an effective treatment. Many trials are performed “blinded”, which means that during the trial, the patient does not know which treatment they are getting. Some trials are “double-blinded” which means that neither the doctor nor the patient know which treatment the patient is getting. This is to ensure that the results obtained from the trial are objective. In order to participate in a trial, you must give informed consent. 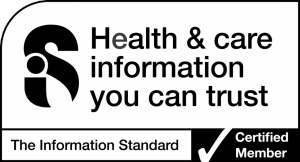 This means that a patient can only take part once a healthcare professional has explained the aims, procedures, benefits and risks of the study and the patient has demonstrated that they have fully understood this information and give their consent to participate. In some cases it may be possible for someone else to give informed consent on a patient’s behalf, for example when a parent consents for their child to take part in a clinical trial. Recruitment and access to clinical trials will vary greatly depending on the type of study, the phase of the trial, where the trial is located and where you are located. However, the most common way of entering a clinical trial is to be referred by your doctor. Therefore, if you find a trial you are interested in joining, you should talk this through with your doctor. Additionally, you could also contact the trial coordinator to discuss if you are eligible to participate. Please do bear in mind that eligibility for clinical trials is generally quite strict, so even if you would like to participate in a trial, it may not always be possible. Clinical trials are not without a degree of risk. You should always consult your doctor about participating in a clinical trial. http://www.clinicaltrials.gov/ – a searchable database of clinical trials conducted around the world. http://www.controlled-trials.com/ – a searchable database of randomized controlled clinical trials, which also allows users to register and share information. http://www.cancer.gov/clinicaltrials/ – a searchable database of oncology clinical trials currently recruiting patients in the United States. This site also provides further patient information about clinical trials. This trial aims to fully characterise the types of kidney cancer caused by BHD Syndrome and to calculate the risk BHD patients have of developing kidney cancer. Patients on this trial will undergo a number of non-invasive scans and tests on an outpatient basis. This study is open to all BHD patients worldwide. This is an observational study aiming to investigate the clinical symptoms of familial kidney cancers. This study is open to all those with a family history of kidney cancer, including those with Birt-Hogg-Dubé. Enrolled patients will undergo periodic clinical assessment at a medical center Bethesda, MD, USA. This is a phase II trial to determine if Everolimus is safe and effective in BHD patients with renal cancer. Enrolled patients will undergo pre-trial clinical assessment in Bethesda, MD, USA including blood tests and imaging. Patients will be asked to take one tablet daily and keep a diary of symptoms, with additional physical examinations and clinical tests as required. This is a phase I trial aiming to assess the prevalence of BHD among patients with spontaneous pneumothorax. Patients who were treated for primary spontaneous pneumothorax in the Rijnstate hospital, Netherlands are to be included. Enrolled patients will be invited for a one-time visit to the out-patient clinic. Patients will be asked for a blood sample to determine pathogenic FLCN mutations and a pulmonary CT scan for evaluation of presence of lung cysts. This is an observational study to assess the safety of air travel in patients with BHD syndrome via a questionnaire. Secondary aims of this study include further characterization of the clinical aspects of disease and to establish a contact registry for these patients, in order to facilitate future studies. Topical Rapamycin to Treat Fibrofolliculomas (part-funded by the Myrovlytis Trust). This trial tested whether a topical Rapamycin treatment was effective in reducing the size and/or number of fibrofolliculomas. The trial did not find that Rapamycin was an effective treatment for fibrofolliculomas. For more information, please read our news item, blog post and lay summary about the trial’s results.